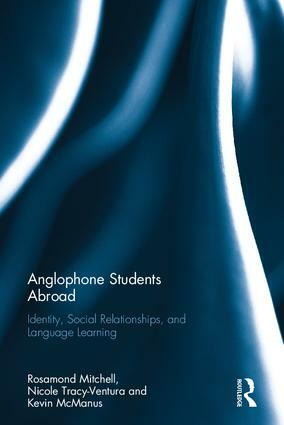 Anglophone students abroad: Identity, social relationships and language learning presents the findings of a major study of British students of French and Spanish undertaking residence abroad. The new dataset presented here provides both quantitative and qualitative information on language learning, social networking and integration and identity development during residence abroad. The book tracks in detail the language development of participants and relates this systematically to individual participants’ social and linguistic experiences and evolving relationship. It shows that language learning is increasingly dependent on students’ own agency and skill and the negotiation of identity in multilingual and lingua franca environments. 2.2.2 The ideal of "immersion"
6.2.3 Intensity of social networks: the "Top Five"
Rosamond Mitchell is Emeritus Professor of Applied Linguistics in the Department of Modern Languages at the University of Southampton. Nicole Tracy-Ventura is Assistant Professor of Applied Linguistics in the Department of World Languages at the University of South Florida. Kevin McManus is a British Academy Postdoctoral Fellow in the Centre for Language Learning Research at the University of York.